I watched the clock as the seconds ticked by … 9:36 a.m. … 9:42 a.m. … 9:55 a.m. … Emerging from my cramped intern cubicle, I entered the conference room next door. Outside, the bustle of the city matched the nervous energy pulsing through my body. Two sheets of paper lay on the table, covered in highlighting, arrows, and scribbles: “project management example,” “story of failure,” “phone skills,” “why I’m a good fit.” I spread the pages in front of me and situated myself facing away from the hallway. Straightened my blazer. Cleared my throat. Waited. Oh yeah. Prayer. Asking God to enter into the decision process. Had I done that yet this morning? Of course I was approaching this opportunity prayerfully—but had I actually prayed? As Anna—who was about to interview me for a position at HOPE International—lifted up our conversation to the Lord, my tense shoulders relaxed and the anxious knot in my stomach loosened. Little did I know this simple act was an informal initiation into a posture of prayer that is the core of HOPE’s workplace culture. “Is it only Tuesday? !” I think, entering the office and smiling at colleagues as I walk to my desk. I boot up my computer and glance at the 2015 network prayer requests clipped to my file cabinet. The supplications to our Creator from around the world remind me that all our work relies on Him for its foundation. The executive team meeting starts at 1:00 p.m., and I arrive a few minutes early to prep the room. Once everyone is seated, Peter puts down his notepad and says, “Phil, would you open us in prayer?” All fidgeting stops as we turn our minds to God’s purposes. A presentation on a new initiative closes with a list of key challenges, and we bow our heads once more. As the seconds tick by … 4:36 p.m. … 4:42 p.m. … 4:55 p.m., I finish the day’s tasks and set the list of to-dos for Wednesday. I stop to look at a paper posted on my cubicle wall. “HOPE Culture,” it reads. And below, the seven key attributes of HOPE’s corporate culture stare back at me. Nurturing. Optimism. Innovation. Stewardship. Service. Allegiance. PRAYER. 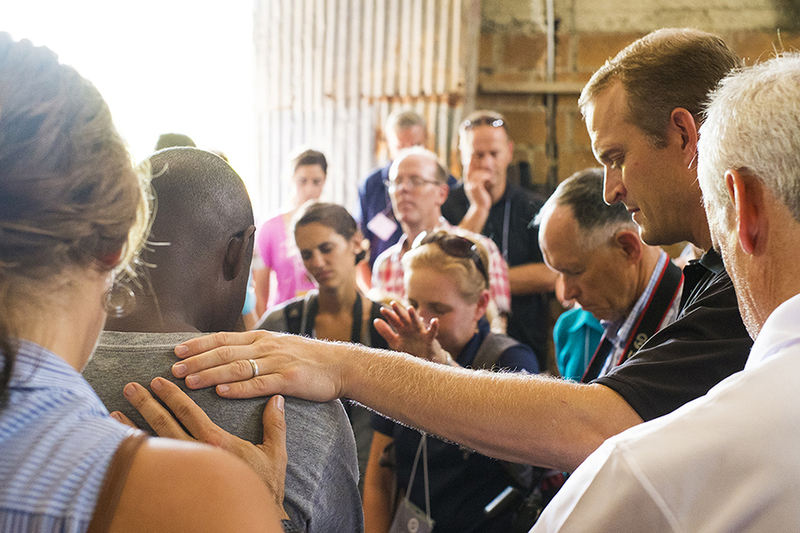 At HOPE, we ask each other daily to get down on our knees and lift up our work to the Lord. Proverbs 19:21 reminds us that “many are the plans in a person’s heart, but it is the Lord’s purpose that prevails.” We have found this to be true again and again: Only by dedicating HOPE’s programs and partners to the Lord will we keep our eyes fixed on Him and the work He has laid before us. Only through Christ will we realize our mission of investing in dreams as we proclaim and live the Gospel. 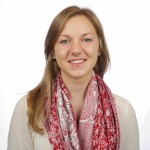 Claire is the executive assistant for HOPE in Lancaster, PA. She serves the president and executive team to ensure that board meetings, travel arrangements, and the day-to-day management of the office of the president is running smoothly. She loves visiting close friends in faraway cities, taking naps, and eating brunch. This is a wonderfully written tribute to the culture of prayer at HOPE that permeates every part of HOPE’s work. Thank you, Jesse! It’s a privilege to work at an organization that prioritizes prayer and views it as a core aspect of our mission and culture. Claire this piece has become one more encourager to include prayer at the center of the work HOPE is doing! Nathan, glad you found the piece encouraging!